I used to have a super power I never knew I had. It would show up on vacations, outings, gatherings, or even just at the soccer games and mad-dash-in-the-rain moments in life. I was invisible in all of them. Oh no… I yield no fabulous cloak like Mr Potter, nor am I absent from the goings on. But I had a super power no one could hurdle in a bound… I was the “face behind the lens”. Mirror shot from the hotel bed. Doing nothing was a sweet memory tucked snug away that cold winter’s night together. That’s right… I was the designated picture taker. No one grabbed the camera from me and decided to make sure I arrived on trips to the zoo or the museum. It wasn’t anyone’s intentional thought, as just getting through outings could seem like running a marathon. Vacation moments were never vacations to Mom… Snapping pictures was my way to relive the joys without the stress, later. After all, in pictures no one is hungry, tired, napless, cranky, or fighting with their sister. My super power was never much of a thought till one summer a few years back. We arrived home, school started, the nearly moldy hidden bag of wet swimsuits was found and rewashed ten times over… and I’d had a quiet cut of tea. Or maybe not. Point being I’d finally picked through all our photos and realized not a single one showed me there. It may have been a good thing knowing how harried that summer had been. It wasn’t my best “picture” year; frazzled and over tired. I’d needed a vacation from our vacation long before the last load of laundry was done BEFORE we’d packed and left, let alone come home again. However, my husband was an amazing daddy in so many fabulous shots, and the hams that I call children were cute as buttons… But me? No where to be seen. It was as if I were invisible. I distinctly remember laughing at those silly polar bears and jumping over leaping frogs in the rainforest at the zoo. I remembered crawling around on all fours in the play spaces of the museum and slurping down cold slushies one evening. Yet it looked like my family was joyfully getting along fine without all the perfect planning I’d done. 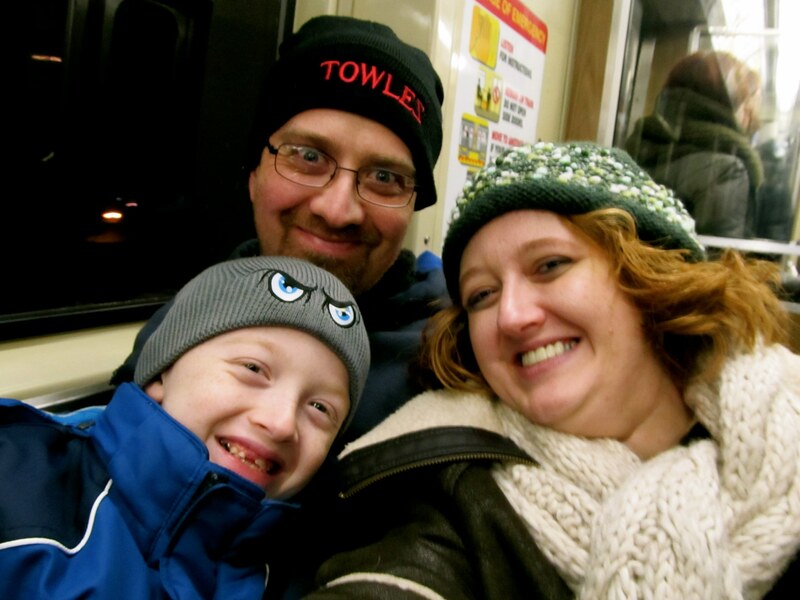 Taking the “L” train in Chicago – no big deal for slick city folk, but for my kids it was a first – and something that now helps them understand mass transportation. So what did I do? I just shot myself in the face. 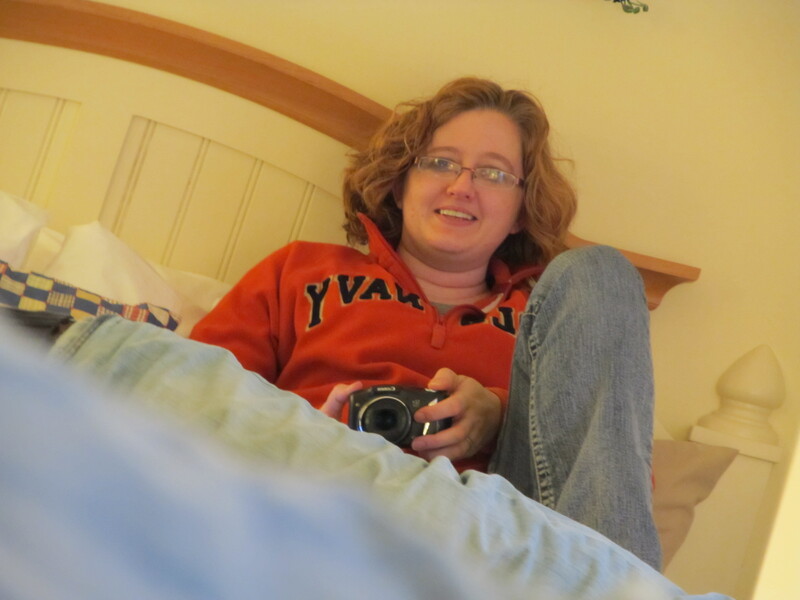 That’s right… I turned the camera on myself, like a preteen. Then, last year, I began to slowly hand over the camera to my kids and ask for pictures to be taken. It was a hard pill to swallow. It seemed someone should want to take mom’s picture but reality is that when your kids are small, it’s lucky you all survive the outing most of the time. Now lest you find me vain… let me explain to you why I do this. It’s because someday I want my kids to remember they had a mom who was there. A mom who played. 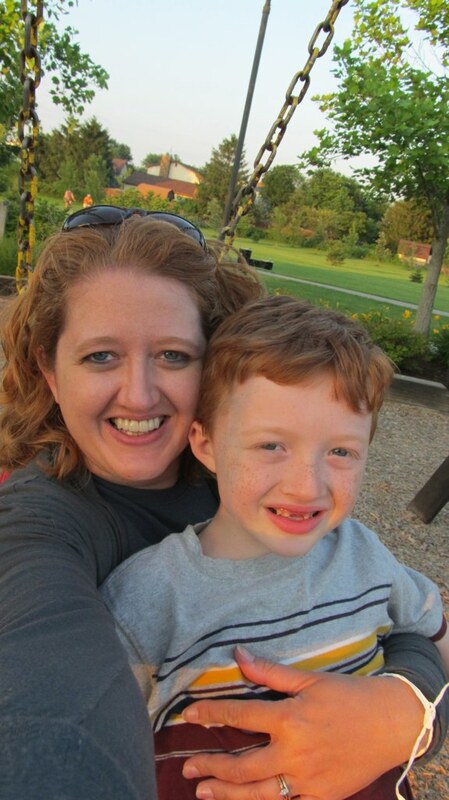 A mom who didn’t show up to life perfect and made up with make up and designer clothes, but one who rolled in the grass and threw leaves in their hair. I know when I look back at photo’s of my childhood, I look in the background and find my mom… I wonder what she was doing, thinking, or just who SHE was. I have often wished I could turn the angle of the lens to the left just a bit or turn the camera all the way around. I want to see what she was doing when my brother and I were proudly showing off our halloween costumes she made us or the Easter outfits she so painstakingly sewed. I wish I could see her proud face as she watched me go off to prom in the gown she slaved over for hours and weeks, and to see her watching me try on HER wedding gown as a girl. (Which I would later wear down MY isle on MY wedding day). I want my kids to remember me being there with them on the soccer lawn watching games, at the air show in the muddy rain with water dripping off our noses, and I want them to know how much love was in my eyes for them. Believe me… most of the pics are far from glamorous, but in showing up, we will have been a family – together – forever. Park play on a regular day. I was there… and I want my kids to remember I played. Sometimes showing up is what counts in life. On the bad days, the good days, but mostly… just the days that are in between. The day to day life. The ones that make up our lives. Are you invisible? Do you show up? I challenge you to remember that your own vanity is not what counts… but let your kids and family remember you for that vibrant smile and let the imperfect way the light may shine at times fade from your mind. We only have one chance to make memories. SHOW UP. Moreover… it’s not really even the photo. Do you show up in Life? Are you throwing leaves and hiding under the covers on cold nights with a book reading to giggly kids? Mental pictures are just as important. Show up for those you love. It’s worth it in the end. Nice read, I just passed this onto a friend and he actually bought me lunch since I found it for him. smile. Thus let me rephrase that: Thank you for lunch!